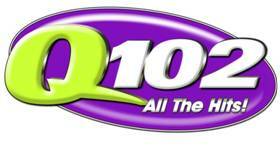 Philadelphia, Pa. – – Clear Channel Media and Entertainment Philadelphia announced today that Stan Priest has been named Digital Program Director for the cluster’s six stations and Program Director for Q102 WIOQ-FM, effective immediately. He will be responsible for programming and executing Q102’s on-air and digital operations. Priest will also oversee the entire market’s digital programming. Those stations are 105.3 WDAS-FM, 1480 WDAS-AM, Q102 (WIOQ-FM); Mix 106.1 (WISX-FM), Radio 104-5 (WRFF-FM), and Power 99 (WUSL-FM). Priest will join the Philadelphia market from Clear Channel Media and Entertainment Hartford/New Haven, where he served as Program Director for WKSS and WKCI. He has many years of programming experience with previous roles as Program Director at WSTO in Evansville, Ind. and Music Director at WFLZ in Tampa, Fla. Priest replaces Tim Herbster, who was recently named Vice President of Special Program Projects for Clear Channel Media and Entertainment’s National Programming Platforms. Fans can listen to Q102 on the station’s website www.q102.com, as well as on iHeartRadio.com and the iHeartRadio mobile app, Clear Channel’s best-in-class customizable digital listening service, that deliver everything listeners want in one free, fully-integrated service: instant access to more than 1,500 of the nation’s most popular live broadcast and digital-only radio stations from 150 cities, plus user-created Custom Stations inspired by favorite artists and songs.